Crystal Wash 2.0 Giveaway with 2 Winners! Here is another group giveaway. I have used these Crystal Wash and like them. This giveaway ends 3/14/15. Crystal Wash 2.0 Giveaway – A Whole New Way To Clean Laundry! #crystalwash ~ 2 WINNERS! 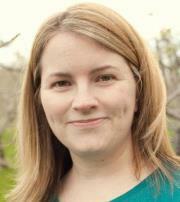 I have used a number of products from Adovia. Adovia products contain mud, salt and mineral’s from the Dead Sea. I recently have been using Adovia Dead Sea Bath Salts. I have found that Adovia Dead Sea Bath Salts have a high concentration of minerals which are essential for proper skin health and beauty. There are over 26 essential minerals that the body needs for natural soothing and relaxation in the Dead Sea Bath Salts. 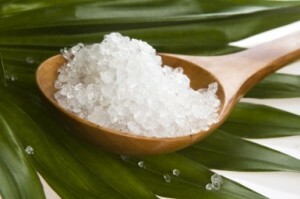 Soaking in Dead Sea Bath Salts helps provide relief from aches and pains. It helps rejuvenate, exfoliate and soften your skin. It is also good for people who have psoriasis, eczema and arthritis. Using Dead Sea salts to soothe dry skin, joint and muscle aches and pains is a fast, effective, and natural way to find relief. I found that soaking in a bath tub with Adovia Dead Sea Bath Salts is relaxing. After a long day or if I am having problems sleeping I find soaking in the Adovia Dead Sea Bath Salts helps me unwind and sleep better. I like to soak for about 20-30 minutes. All I do is fill the tub with warm water, not too hot and add about 1 cup of the Dead Sea Bath Salts – I let it dissolve before getting into the water. Then after I soak for awhile I will rinse off in the shower. I find it easier to sleep then. The package of Adovia Dead Sea Salt is resealable and easy to store. You can purchase you own Adovia Dead Sea Salt on the link below from Amazon.com. I love to bake and one of my favorite things to make is cupcakes and muffins. Most weekends you will find a batch of one of them in my oven. I recently have started using Silicone Baking Cups. I have always disliked having to peel the paper off of my creations. I recently received these premium silicone baking cups from The Simple Baker. I really think they work great. They come in six fun colors – pink, orange, yellow, blue and purple – 4 of each color. 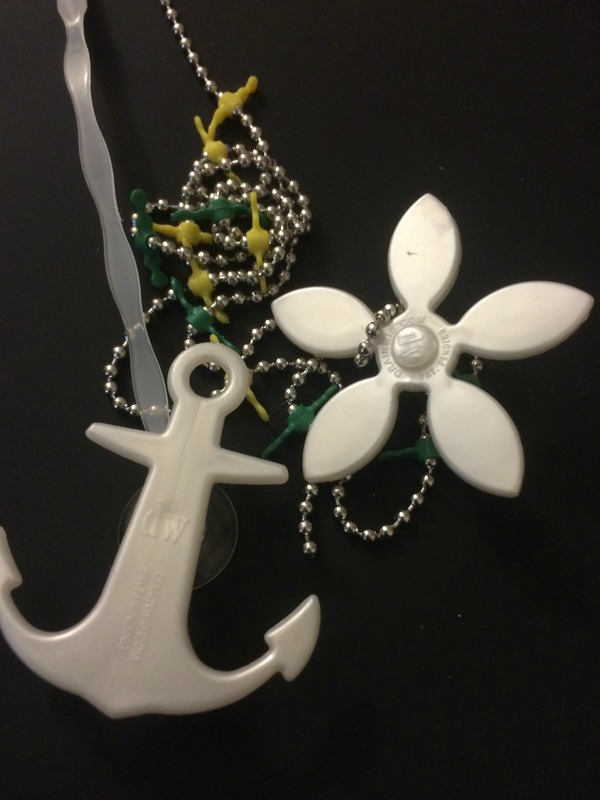 They are BPA free and will last a lifetime. I like that all I have to do is fill them and put them on a baking tray. The silicone baking cups hold their shape while backing. The cups are heat resistant up to 475 degrees, they are non-stick, stain resistant and dishwasher safe. I love that I can use them over and over again. 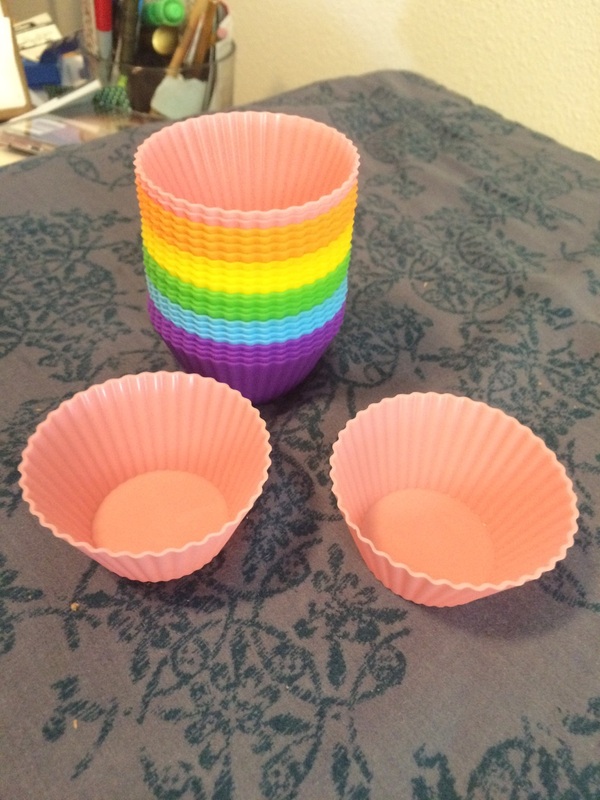 So far I have made cupcakes in The Simple Baker Silicone Baking Cups but I have plans to do cheesecakes and I think they would be great to make chocolate molds by lining the cup and then freezing. I think filling the chocolate molds with mousse. I have lots of ideas that I want to try with these cups. You can purchase your own Simple Baker Silicone Baking Cups on the link below from Amazon.com. 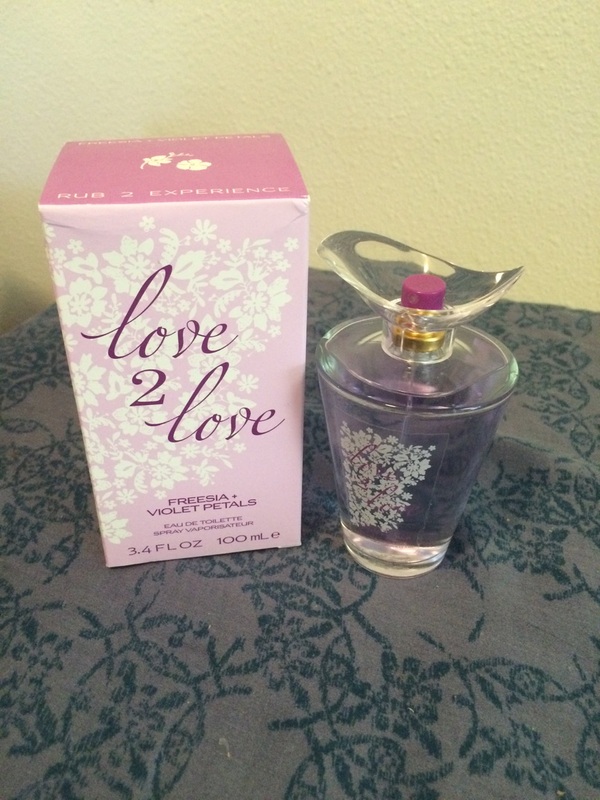 I love fragrances that are romantic and make me feel very girly. 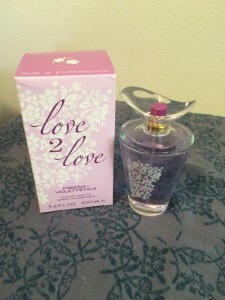 I recently received a bottle of Freesia + Violet Petals which is from the love2love collection. It is a very feminine fragrance. To me this fragrance is very soft. The top notes are delicately sweet mix of peach blossom, lily petals and lavender blooms. Then come the feminine heart notes of freesia, rose and violet blossom and the base notes of the fragrance are Sheer musk, heliotropine and cedarwood almost seem to emerge spontaneously. What ever scent is right for you can be found nationwide at Walmart at an affordable price. 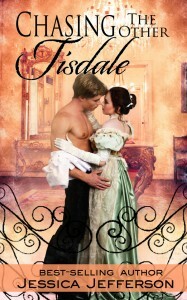 I think this would be the perfect Easter or Mothers Day Gift or even just a gift for you! I have long curly hair and I find it all over the place. One place I hate that it goes is down the shower drain. Often Rex has to clean out the drain or use some kind of chemicals to dissolve my hair so that the drain runs free in the shower. It is yucky when he pulls out the hair and it takes some time to do it. Recently I received DrainWig to try. It is so easy to use. You just drop the chain portion down the drain and it has little hooks that catch your hair. Then every 2-4 months you pull up the chain and throw it way. It has really helped us not have clogged drains and it isn’t a pain to remove the old hair as it had been in the past. There are two designs – the one with the flower is for the shower and the anchor works great in the bathtub. You can use them in most showers and bathtubs. We find that it really helps so we don’t have to pour chemicals down the drain that may harm the pipes. It is easy to remove and you never have to touch the gunk (my hair) that is down the drain. I think this is a perfect product for anyone who has long or short hair and has problems with the shower or bath tub draining. I wish I would have had these years ago. Would have saved me a lot of time and money. You can get a set of 4 for $19.95. You can order yours today from HERE. DrainWig would like to give one of my readers a chance to win some DrainWig’s and see how they work for you. You must be 18+ US. Leave a comment on your worst problem is in the bathroom. Extra entry for each way you follow Kaisy Daisy’s Corner. Giveaway ends Mar 12, 2015. I love to cook but I hate to clean up – especially if I make something sticky or burn something. I was very excited to try a couple new products from COOKINA. The first one is the COOKINA Cuisine Reusable Cooking Sheet. The COOKINA Cuisine is an innovative product that creates a nonstick, easy-to-clean and healthy cooking & baking experience. Ideal for using as an alternative to aluminum foil, parchment and wax paper, users can place the cooking sheet on a baking tray or pan to bake recipes without having to use oil of needing to clean the tray and oven afterwards. What I liked most about the COOKINA Cuisine Reusable Cooking Sheet is that you don’t need to use oil or butter ~ so that saves me a few calories. It is also reusable and does not hold food odors or flavors from past items. I use it on a baking sheet most of the time. It helps cook food evenly. 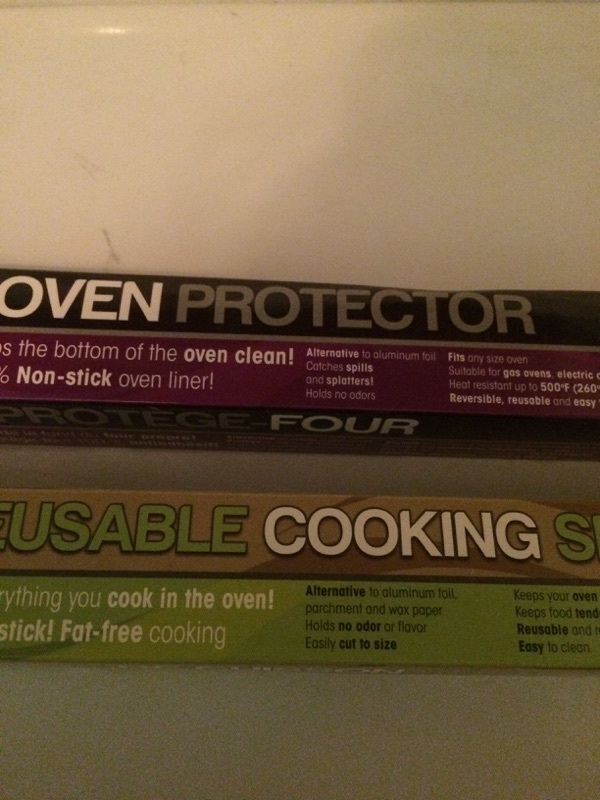 The second product was the COOKINA Gard Oven Protector is a toxin-free, easy-to-use product that helps home cooks keep the oven clean with minimal effort. Home cooks need not worry about cleaning the oven after each use with this product. 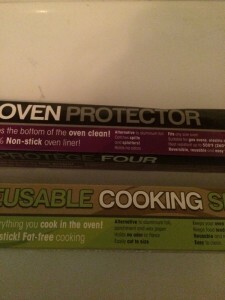 Users can simply place the oven protector on the bottom of the oven to catch every spill and splatter for an easier clean-up, without any odor. I hate when you are baking and the pie overflows or the cheese from a pizza drip onto the bottom of your over. I have a self cleaning oven but it smells when I clean it and I still have to wipe it out. With the Gard Oven Protector you just wipe it clean or soak it in soapy water. It can be cut to fit your gas ovens, electric ovens, and microwaves. In our oven I just placed it under the element. Once a week I pull it out and wash it. I love it! Here is an easy recipe provide from COOKINA to use your COOKINA Cuisine Reusable Cooking Sheet. Combine the sugar and corn syrup in a heavy bottomed pot. 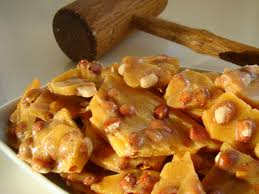 Cook over medium heat, stirring often, until the sugar has dissolved. Turn the heat up to high and cook until the bubbles get smaller and the mixture turns a light amber color, about 10 minutes. Stir in the nuts and cook for 1 more minute. Quickly pour the mixture onto a baking pan lined with a COOKINA® Cuisine sheet and spread it out evenly with a spatula or wooden spoon. Sprinkle salt throughout before mixture cools. Let cool and break into pieces. If you would like to purchase your own COOKINA products you can find them HERE nation wide at stores like Home Depot or Fred Meyer. COOKINA wants to give one of my readers a chance to try the COOKINA Gard Oven Protector and the COOKINa Cuisine Reusable Cookie Sheet. You must be 18 + US. Enter a comment on what product you think you would find the most useful in your household. Extra entry for following COOKINA on Twitter. Extra entry for each way you follow Kaisy Daisy’s Corner. Giveaway ends Mar 12, 2015. Enter daily for more chances to win. I love to add garlic to my cooking, I just hate when I get the smell on my hands. It is hard to get rid of the smell. I also do not have the greatest knife skills so mincing and chopping the garlic is hard for me. Recently I was given this Alpha Grillers Garlic Press and Peeler Set and I love it! It makes working with garlic so much easier. 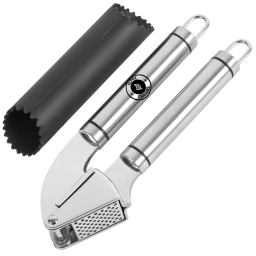 The Garlic Press is made of solid stainless steel garlic press and the handle is designed ergonimically so it fits perfect in my hand and the garlic is easy to crush. You just put the garlic in the hopper and squeeze ~ out comes minced garlic. I like that I don’t even need to peel the garlic for it work. It is easy to clean and I can put it in the dishwasher. The Alpha Grillers Peeler is easy to use you just insert the clove and roll back and forth – out comes a perfectly peeled clove. The peeler is also easy to clean and dishwasher safe. I know both of these products will last me for years. They both help me prepare my meals easier and make my meal prep a lot faster. If you would like to purchase these products you can do so on the link below from Amazon.com. 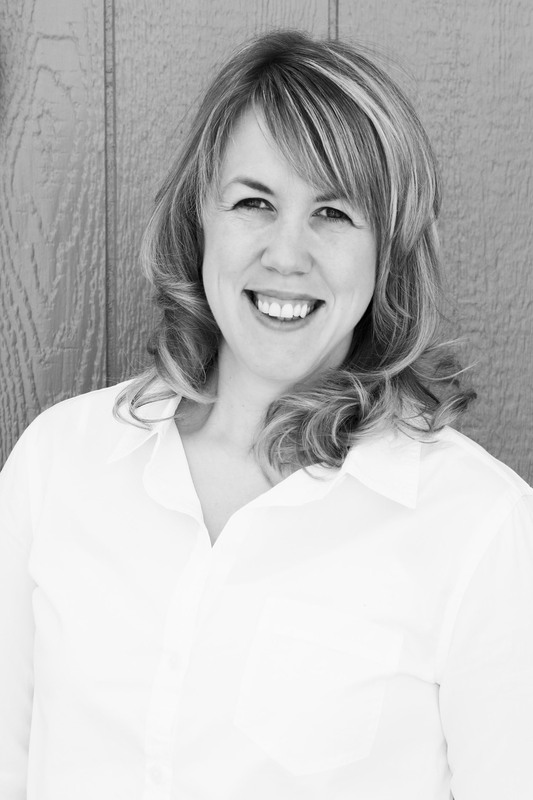 Jessica will be awarding a $10 Amazon or B/N GC to a randomly drawn winner via rafflecopter during the tour. You can follow the tour and comment; the more they comment, the better their chances of winning. The tour dates can be found here. Sounds like this would be a good book to read ~ release day is March 31, 2015. Look for it then.